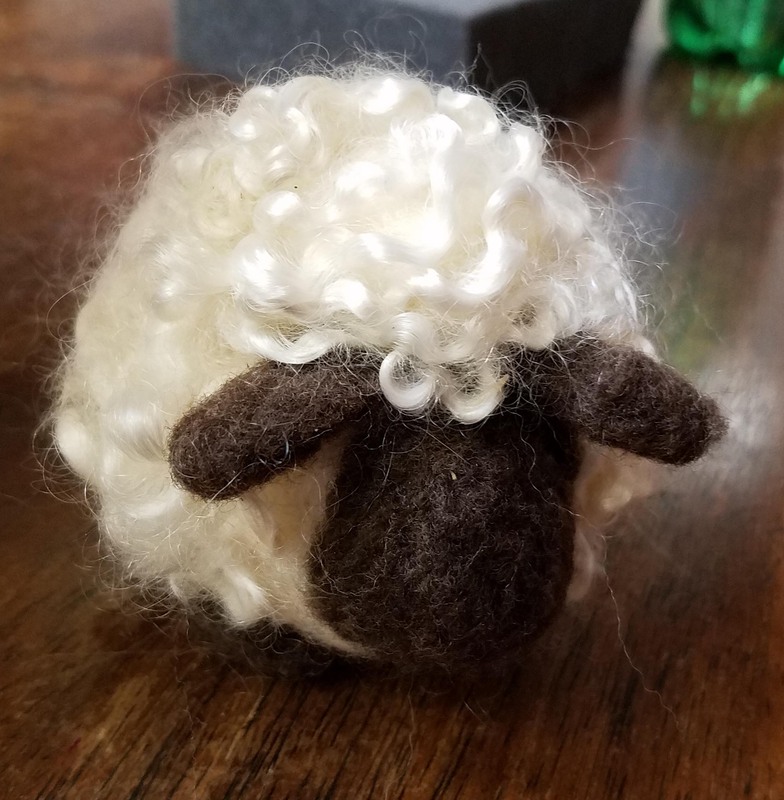 Last Saturday I taught a needle-felting class at the Longmont Yarn Shoppe. 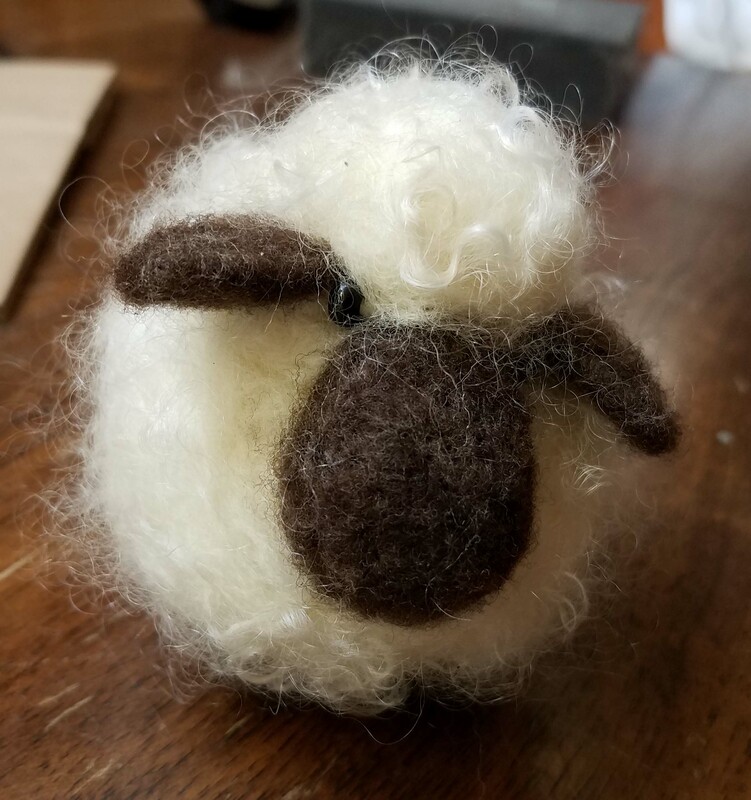 The shop is very small, so a full needle-felting class is only 6 students. This makes for fun classes where each student gets personal attention from the teacher. I have such a great time teaching and often time my students come up with new ideas or ways of looking at the project that really add to the experience for everyone. 3 of my students were a mother with 2 young daughters (9 and 12). 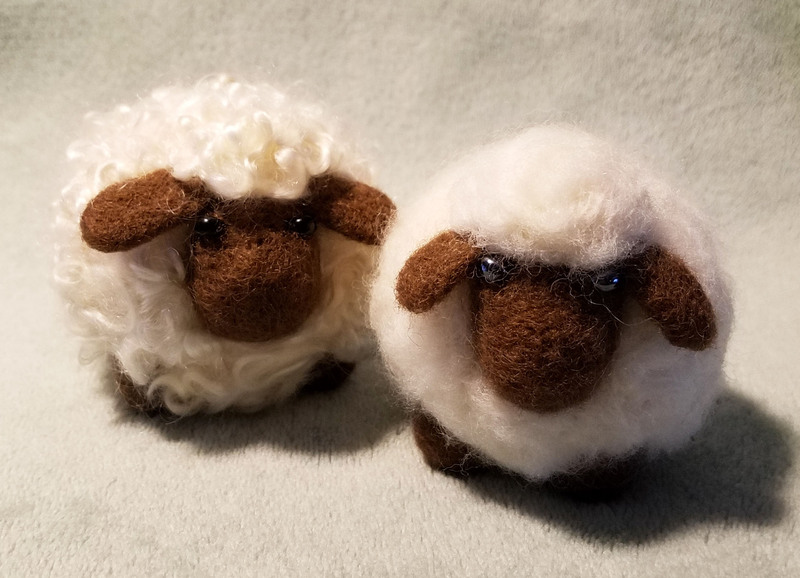 I generally don’t design my classes for children under 13 years of age, but these 2 young ladies were both very dedicated yarn crafters already. When the shop called to check with me I said let’s give it a try. Saturday morning we had one student cancel because she had the flu, so we ended up with only 5 students in the class. We all had a great time and my 2 youngest students were intrepid and diligent in the class. 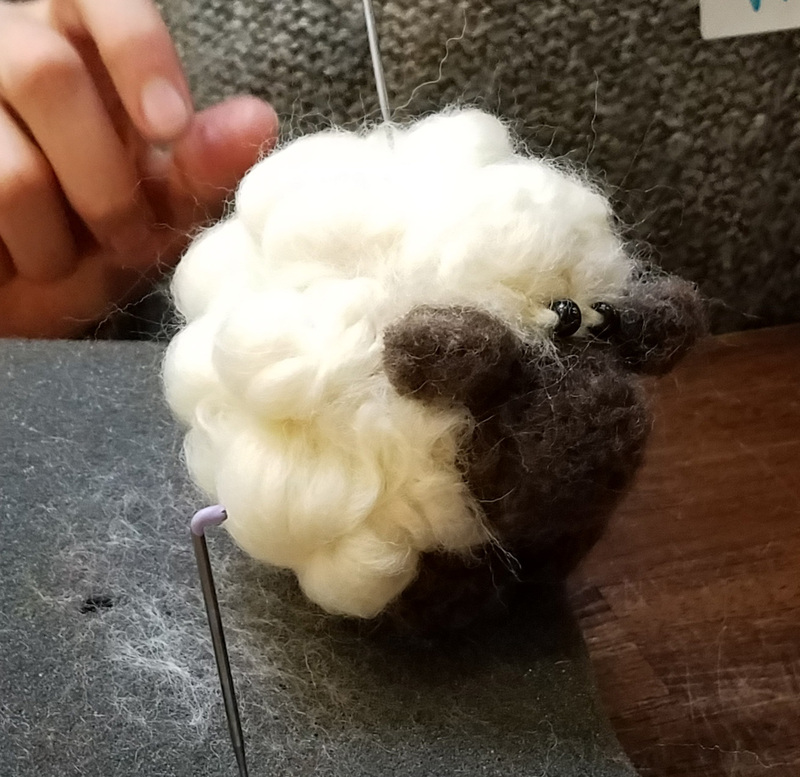 The 9 year-old was really determined to work on one of the more challenging techniques for creating the “fleece” of her sheep. This technique is one I used for creating my original Sheep Toy for the SBVFAF class I taught last September at the SBVFAF in Scotts Bluff, Nebraska. It requires quite a bit of patience as you make loop after loop in yarn and needle them into place. The 12 year-old came up with a fun technique of her own for making a bumpy “fleece”. She wrapped bits of plain roving around her needle and then pushed them into place on her sheep. 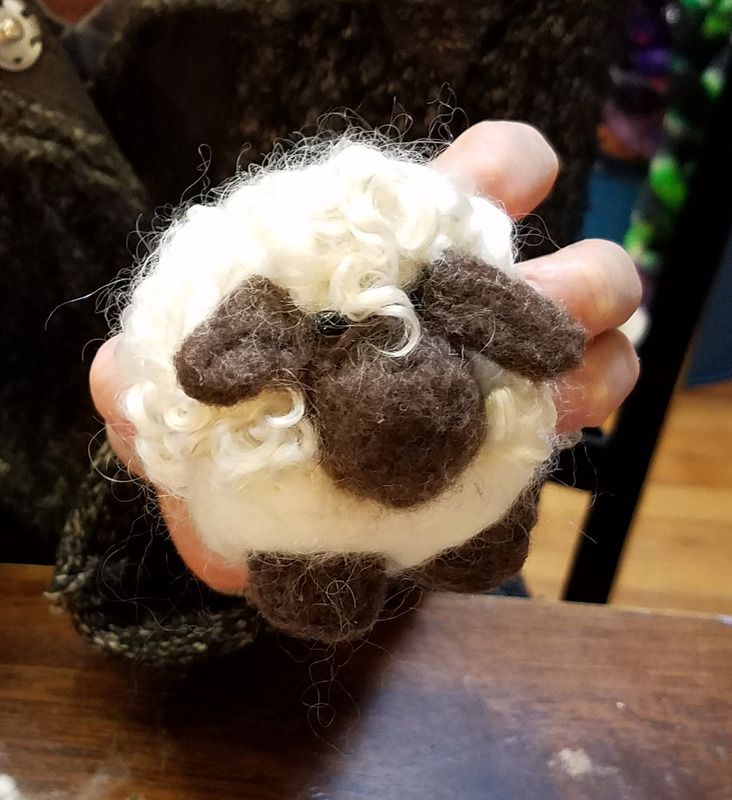 My other three adult students were having fun making “curly” sheep using mohair locks for the fleece. Again there was so much creativity amongst the students about how they would incorporate the locks. One student made a soft cloud of locks that she had gently teased apart. My young students mom had fun creating a special curl over her sheep’s forehead. 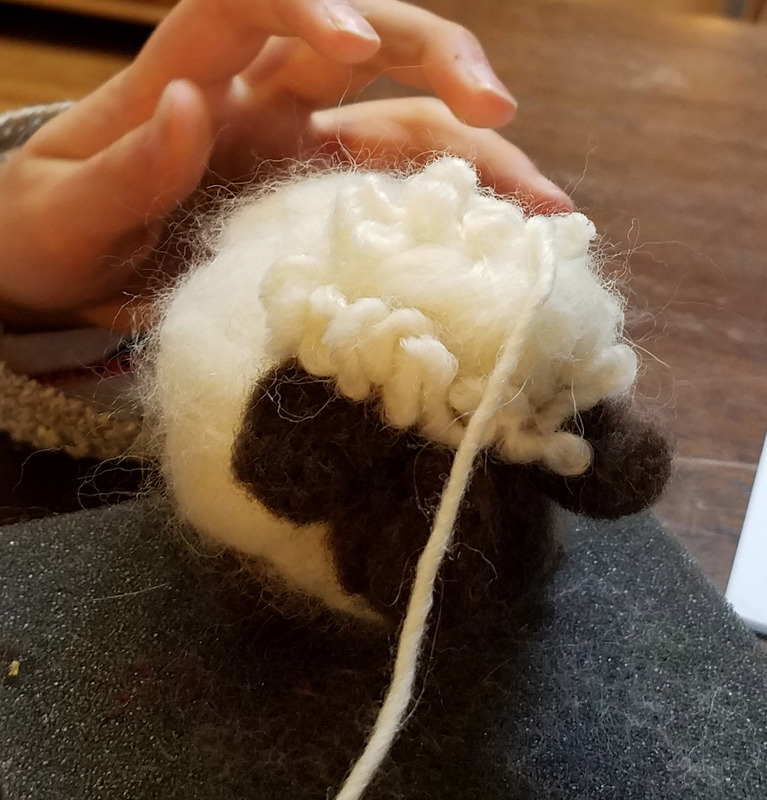 The last student was very charmed by my original “curly” sheep, so she worked on adding her locks similar to how I had used them. 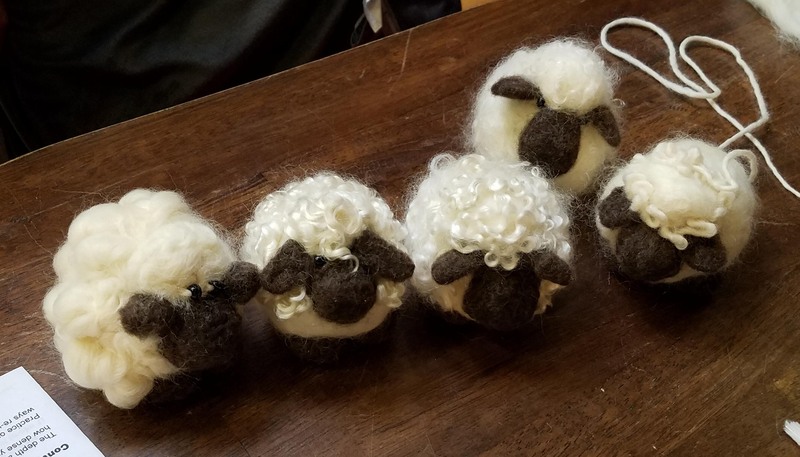 We had quite a fun little flock of sheep by the end of the class. Best of all, all 5 students were feeling very inspired and wanted to do more needle felting. I’m always happy when my students are excited to continue with the craft. 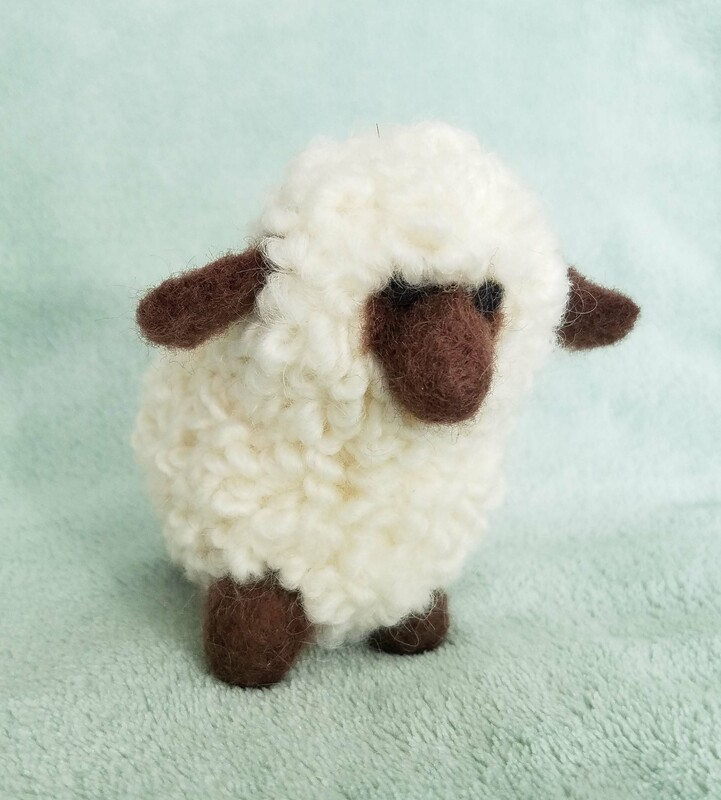 I’ll be teaching more needle felting classes this Fall and hope to create some that combine needle felting with crochet. Keep an eye out here for more news about my upcoming classes.